We are dedicated to providing outstanding service for all of our customers. Established in 2009, Pro-West Contracting has worked on all types of residential repairs. Our seasoned employees have decades of experience to bring to every project. We have a combined 40 years in the industry and the relationships we've established along the way allow us to offer our expert services at highly competitive rates. Whether you are looking for a general contractor to help with your simple household projects or you are in need of major repairs or renovations, Pro-West Contracting can help. Contact us today with any questions you may have, or for your free assessment. 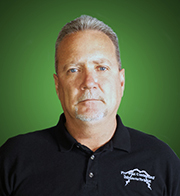 Richard Ferrel is the founder and co-owner of Pro-West Contracting. Richard has been in the construction industry for over 30 years, and can say that construction is his true passion. From performing the trade work himself, to working as a Construction Superintendent and in the Purchasing Department for major homebuilders in Colorado, he is able to bring a high level of expertise to any job. In his many years of experience, he has realized that he can help you with any construction need that you may have. Whether you would like to make improvements or additions to your current home, if you need help in the stabilization of your homes foundation, or, if you would like to build your dream home from the ground up, he can do it all. Knowing that he has such a vast and extensive knowledge of the construction industry, he established Pro-West Contracting, a family owned and operated business, that can help you with any construction need that you may have, and that is dedicated to making happy homeowners. Jason Berrian is a co-owner of Pro-West Contracting. 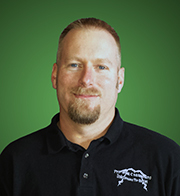 Jason started in the construction industry very young, and has over 17 years of experience. He began as a laborer for a national home builder and was quickly promoted to a Construction Superintendent. He worked as a Construction Superintendent for 9 years, until he was asked to take a promotion which moved him to the Corporate Office, where he worked as a Purchasing Agent for 6 years. Richard Ferrel (Jason’s Father-In-Law), saw that he and Jason shared a very similar background in the construction industry and that Jason would be an asset to Pro-West Contracting, and asked him to grow the company as a team. Jason has been co-owner of Pro-West contracting for 2 years, and with the combined efforts to outperform their competition, Pro-West Contracting is flourishing. Foundation repair techniques can be complicated. Our experts are fully equipped to help answer all of your questions and fix any problem areas in your home. We are dedicated to your satisfaction and our staff have decades of general contracting experience to offer. Together, we can modify your house and turn it into your home. 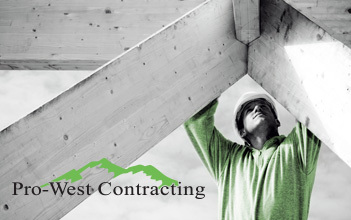 From concept to completion, Pro-West Contracting can take your dreams and build them into reality. Your home should make a statement about you and reflect the luxuries and unique amenities that fit your lifestyle. For a professional assessment of your home, please contact our office.